Giles Hargreave interview - we want your questions! 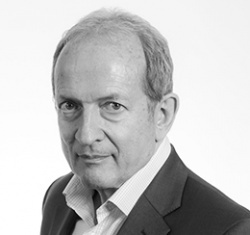 Giles is one of the most experienced and successful small-cap fund managers in the UK. He is chairman of Hargreave Hale and oversees the investment mandates of several funds under the Marlborough banner, including the Marlborough Special Situations and Marlborough UK Micro-Cap Growth funds. He’s delivered some spectacular sector-beating returns during his career, using a bottom-up strategy to pick long term buy-and-hold positions with a strong small-cap flavour, often targeting AIM quoted companies. The usual caveats apply: I’ll do my best to get all questions asked / answered, but it’s not always possible. Likewise, for various reasons, delays can sometimes happen with these interviews! Ok I'll start here - does Giles really think the Special Situations fund can keep outperforming the market given it's now got more than £1bn and (reputedly) over 600 positions in it? If so, does he plan on making the Marlborough Special Situations fund Britain's Magellan ? Giles & his team meet many management teams. How do they sort the good management from the not so good? Also, how does Giles TRUST management of small caps? How can private investors trust management, when we have so little information? Looking back over the years, of the small/micro companies Giles has invested in and had most success (share price appreciation) are there common factors/changes, other than great management that have lead to their success? If so what are these factors and can he see similar factors/changes coming into play in 2 or 3 UK companies currently? Just a technical question here: when "Hargreave Hale" shows up as a significant holder in companies, does this reflect his decision to hold, or is it brokerage clients', other managers' or a mix thereof? If it's his decisions, does he sell positions he doesn't like any more, or does he sometime get stuck with a hard to sell position? When I pick a stock I perform both a quantitative and qualitative assessment. A quantitative assessment is basically a technical analysis we are all familiar with. A qualitative assessment is however a more touchy-feely understanding. My question for GH would be an open one. What qualitative factors does he consider as most important and necessary; i,e, if a company doesn't pass muster with these, then it is no longer an investment candidate. I'd be interested to know what are the warning signs, or tests, that Giles would recommend as a check when he meets a management team? Similar to Paul's idea of 'red flags' in accounts. How does GH distinguish between managers who are likely to get great results and those who are brilliant at presenting the company (and honestly believe their own pitch) but will fall down on the execution, or are toiling away with a business model that is not going to work? If he could keep it to as short a list as possible, what're the governing list of factors he first considers when looking for companies to invest in? what measures does he take in place to guard his micro cap stocks in a down trending environment like this year in uncertainity. does he change his strategy? or just enforce his current rules as microcaps can often get hit the hardest.